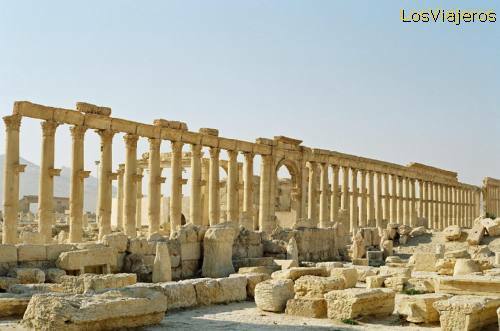 Palmyra - Syria: Palmyra had an strategic location in an Oasis which made it an ideal halt for caravans trading in silk from China to the Mediterranean and transformed it into a prosper kingdom from the 2nd century BC. Emperor Caracalla declared it a Roman colony in 217 BC. Palmira - Siria Palmyra - Syria "Index"